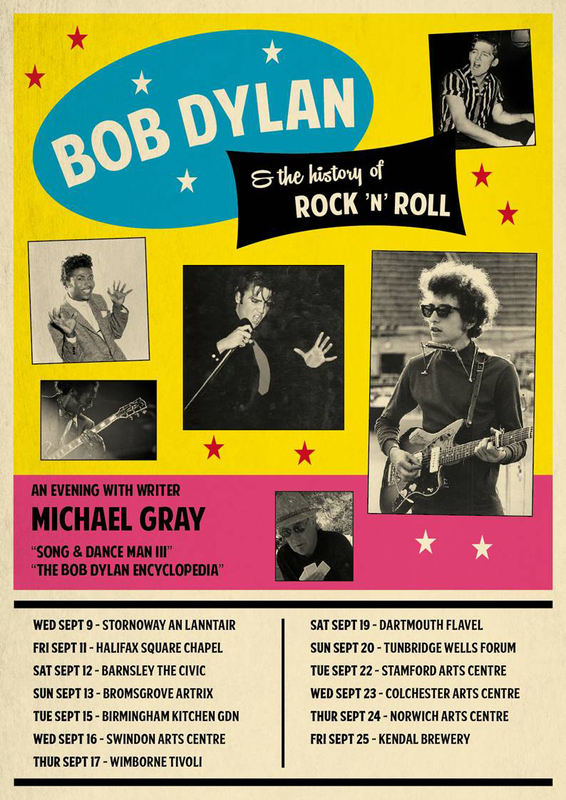 The poster for Michael Gray’s next talking tour. When I was at The Observer Magazine, I learned Art Director John Tennant’s great rule (which he may have picked up from Michael Rand and David King from his stint at the Sunday Times Magazine) – the worse the quality of the picture, the bigger you use it. It then becomes something graphic and powerful and always worked for family photos, or amateur snaps of news events. Watching Amy, I was really impressed by the way director Asif Kapadia used the wildly blown-up snaps – all digital jpeg artefacts and smeary colour – so surely. It’s painful to watch the images get sharper and sharper as the picture progresses, mostly created by the paparazzi who circle and hound her. Walking into the tube at Oxford Circus I thought I heard a James Brown track playing somewhere. 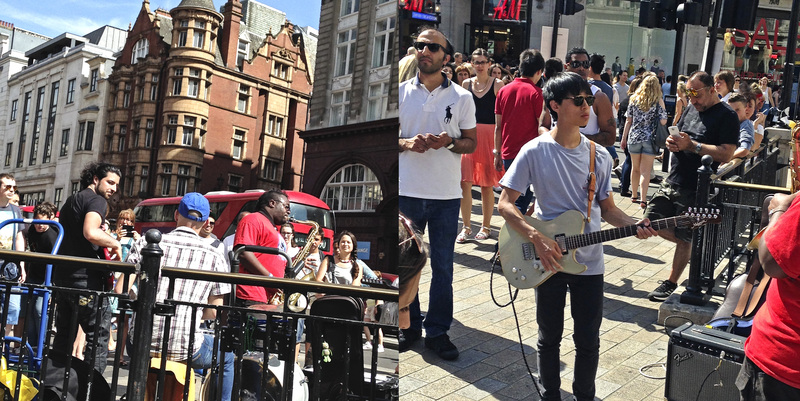 It turned out to be saxophonist Carl Catron and friends, giving the teeming throngs outside Topshop some gloriously on-the-money jazz funk. I was mostly fascinated by the guitarist’s insouciant precision. “It was Saturday night, and Ava Gardner had a request. She wanted to hear They Wouldn’t Believe Me. Confrey Phillips knew the song – he knows every song, it seems – so he launched into the number. It wasn’t long before Gardner grabbed the proprietor and said, “Get rid of the band downstairs. They’re a crap band. Confrey should be doing this.” The year was 1952, and Gardner, Clark Gable and Grace Kelly were in London filming Mogambo. They had all come to the club known as Les Ambassadeurs because they didn’t have to work on Sunday. Kelly left early, Gable hung around for awhile, but Gardner stayed until closing time and beyond – 4:30 in the morning. Phillips figured Gardner’s enthusiasm was the champagne talking – Gardner liked her champagne – but the next morning the band was indeed gone and the Confrey Phillips Trio was entertaining in the big room at Les Ambassadeurs.” – Scott Eyman, the Palm Beach Post. More here. We knew Confrey through his brother Len, father of a great friend of our daughter. Inspired by American big bands heard on Armed Forces Radio beamed into Bangalore, they moved to Clapham in the late 40s. 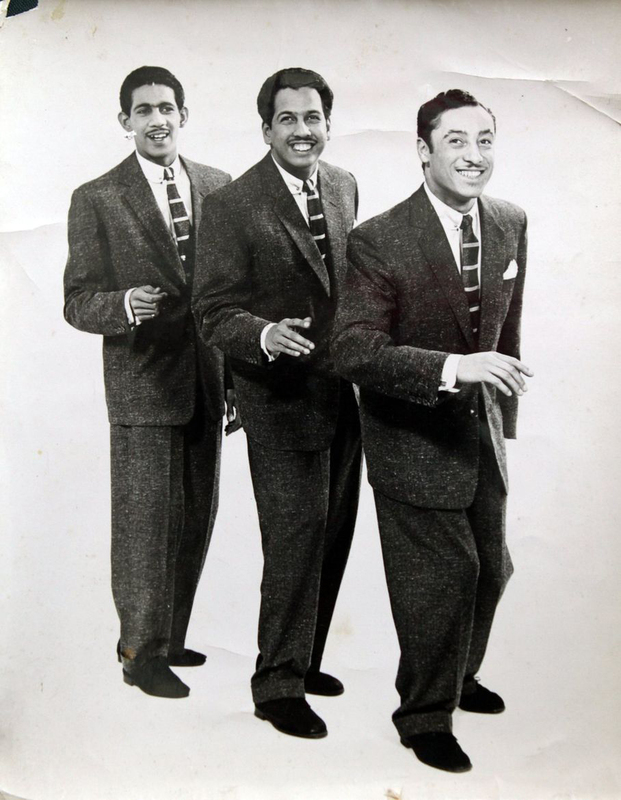 Len had played bass in his brother’s Trio, and both were real characters – enthusiastic and charming – and Confrey really did know every song in The Great American Songbook. He also told fantastic stories of his time playing in London’s grand hotels and moving in Royal circles. My father also got to know Ava Gardner at the time of Mogambo, as she liked drinking in “real” London boozers, and became a regular (!) at a pub off Berkeley Square that Bill drank in. Those were the days, eh? Oh, and Leon Bridges: Why?